Should you be looking for a way to utilize the most exciting virtual and gaming technology today, we are here to help you out. Our entertaining staff will make sure that you and your group can have total control and understanding of what is to come. Not sure if Galaxy Gaming offers what you are looking for? Then check out the awesome entertainment services that we have available below! Get your galaxy gaming gift cards! Do you have a friend or family member who loves gaming, laser combat, or virtual reality? Stop in to the store today to load up a gift card! 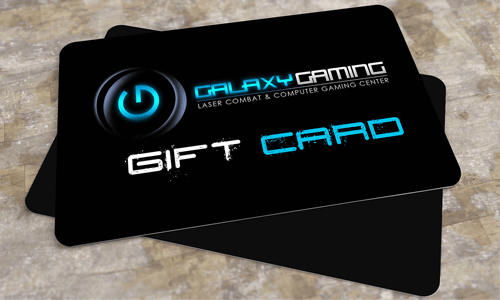 The Galaxy Gaming gift cards make the perfect choice for birthdays or the holiday season. The perfect choice for combat without the fatalities. Come and join us for exciting, entertaining action gaming as a group. Want to see what the finest games on the market offered in a competitive, online sense? Come and take part on our state of the art rigs. The perfect choice for enterprising excitement that is literally out of this world. Come see what the VR revolution has waiting for you. We run a massive range of exciting and entertaining events that would constitute the perfect modern party. If you see something more in-depth for an experience than hitting the night clubs and bars of Sioux Falls, come and see us. We can arrange a brilliant platform that is going to fit with all of the members brought along. The end result? A wonderful and competitive experience that everyone who joins you is absolutely sure to love! "Always a fun visit, I only play laser tag anymore now when I visit but I used to play on their gaming systems a lot. Very clean place with nice staff. Would definitely recommend for a party/birthday, everyone has a good time. I can't wait to try the VR." My buddies and I have been going to this place off and on over the last 10 years. It's awesome to see how it has grown over the years. Overall the staff has been very friendly and helpful. It's a great place to bring a group of 4 or 5 and play some computer or console games together. Playing with your friends online is fun, but nothing beats being in the same room. Highly recommended. "I have done laser tag and the gaming here. Max is very polite and informative if you haven't been there before. Hope is also really good at making laser tag extra fun. Very cheap rates for the gaming and laser tag. I would highly recommend this to anyone that just wants to have fun." 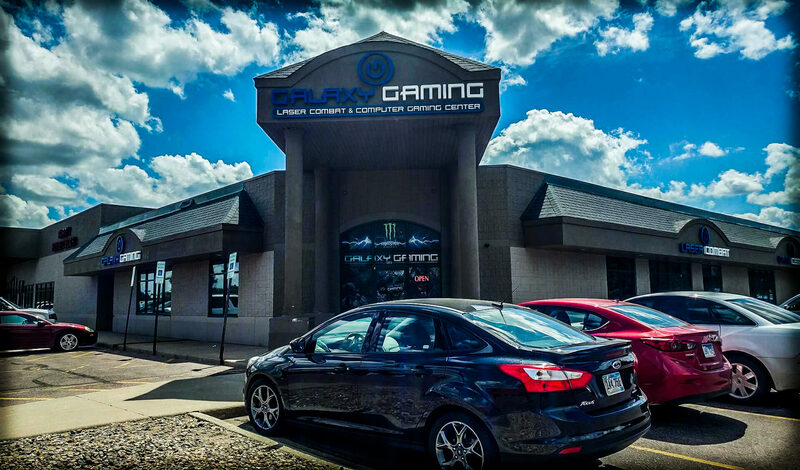 With over a decade of experience and a lifetime of passion, Galaxy Gaming makes virtual engagement easier than ever. Offering the best entertainment in Sioux Falls since 2005, we’ve been a constant source of entertainment, hilarity and excitement for people all across the area!